Disaster related claims are made by policyholders when a hurricane, flood, fire, earthquake, or other natural disaster ruins or damages a person's property. It is expected that most of the recovery to the damaged property will come from an insurance policy, where the insurance company offers an appropriate settlement. Policyholders are usually prepared for having disaster related claims by having insurance before the natural disaster strikes and expect recovery after it's over. What are Disaster Related Claims? Homeowners or business owners that have insurance may need to file a disaster related claim if their property undergoes a fire, flood, hurricane, earthquake, or other natural disaster. In any of these cases, their insurance company is obligated to cover the majority of damages that may have occurred. A policyholder can submit a disaster related claim if a natural disaster strikes, and they will expect to receive a settlement that can cover their property damages. Insurance companies have a fiduciary responsibility to settle disaster related claims made by their clients. It is in their client insurance contracts that they must act in good faith and respond to all claims. Unfortunately, however, some insurance companies try to escape having to give out settlements, even if they are for valid disaster related claims. They may make insurance claim procedures difficult, stall responding to claims, break promises, change the terms of their contract, cheat the client out of the full settlement amount, or even deny the claim entirely. Disaster related claim lawyers could help protect your rights if you are denied recovery from your insurance company. Whether your disaster was natural or man-made, your insurance company has a responsibility to be fair to you and properly handle your claim. If you are denied a disaster related claim or suspect an unfair decision in your settlement, an insurance attorney will help determine if your insurance company acted in bad faith. An attorney can pursue a fair settlement for you and may even be able to get you punitive damages. Insurance companies have a responsibility and fiduciary duty to respond to all valid claims made by their clients. If there is a legitimate disaster related claim, a homeowner or business owner should not be worried about not getting the proper settlement they need for recovery. Sometimes, insurance companies try to cheat their way out of disaster related claims. They often make the insurance claims procedures difficult, making it difficult for the insured to act further. An insurance lawyer can be helpful, especially if you suspect unfair decisions on the part of the insurance company. Some disasters are natural and some are accidental or man-made. No matter what the case, an insurance lawyer can handle denied disaster related claims justly and according to their causes. An attorney can pursue fair settlements from insurance companies. To speak with an insurance lawyer to handle your denied disaster related claims, contact Attorney Search Network today. 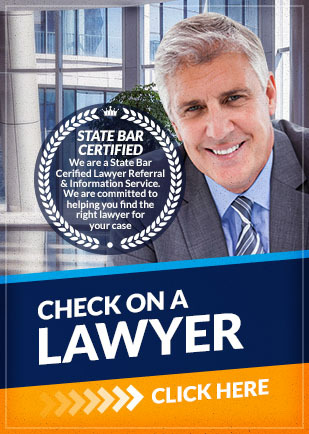 Attorney Search Network can refer you to an experienced insurance lawyer in your area.